We’ve known for years that retro is ‘cool’. Grab hold of mum’s rejects during the next clear-out and you might unearth a gem. But fashion isn’t the only area where nostalgia is popular; it seems that the world of retail is also taking a good look in the rear-view mirror. It wasn’t long ago that the pop-up was being read the last rites – but now it’s clearly back in vogue. The reason behind this volte-face? Ironically, it’s technology that has breathed new life into the pop-up. The digital revolution has had as big an impact in the retail sector as perhaps any other. The ability for consumers to use multiple channels to search, browse, purchase and collect a single item has altered the way retailers structure their offer. And the pop-up has an important role to play in this new world – not least by providing retailers with a cost-effective way to let consumers touch and feel items that they may later purchase online. 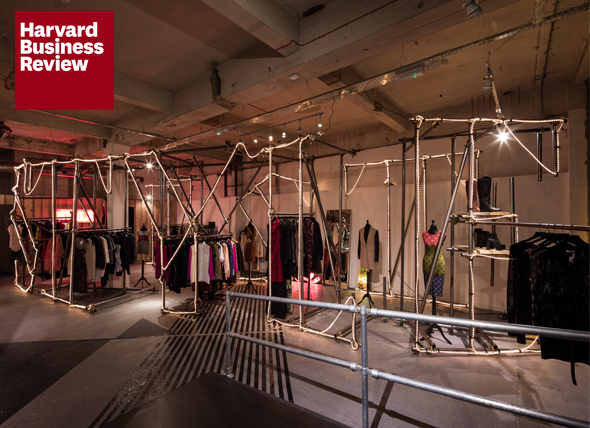 Similarly, the pop-up offers a predominantly online retailer an affordable presence on the high street, as well as a physical – and highly visible – extension of its brand. BaubleBar, an online jewellery store, reflects this trend with its two pop-up shops in New York, and other seasonal pop-ups. Katherin Hill, BaubleBar’s Director of Offline states: “We know that about half of the people who walk in to our pop-up shops have never heard of our brand before.” BaubleBar uses its pop-ups to increase brand awareness and to act as a robust channel for customer acquisition. But it’s not just online companies that are driving the pop-up renaissance. A study produced by RetailNet in the UK forecasts that the pop-up industry will grow almost two and a half times faster than the ‘‘traditional’’ retail market over the next year. London is spearheading this trend, not only in retail but also in the F&B sector, with pop-up restaurants and supper clubs having become highlights of the casual-dining market. And while this trend is common in the UK it is also becoming more and more prevalent across Europe. Many reasons lie behind the growth of pop-up retailing, not least among them is consumers’ seemingly unquenchable thirst for new shopping experiences. At the same time, the format provides retailers with an efficient vehicle for testing new products and concepts, as well as the chance to experiment with new in-store strategies. The implied limited shelf life of a pop-up also gives the sense of a limited-time offer, which can boost sales and, in turn, lead to larger purchases. ‘‘We’ve encountered customers who double their purchasing when they get in a space where they can touch and feel the brand itself” says Melissa Gonzalez, founder of Lion’esque Group, a leading exponent of the pop-up store in the United States and internationally. Pop-ups are often built for specific seasons and holidays. As such, they provide an opportunity for business-owners to collaborate with complimentary brands to give consumers a ‘one-stop shop’. The spike in sales around Mother’s Day, for example, might offer a compelling reason for, say, a chocolatier and a jeweller to pool their resources for a short-term partnership. What seems clear is that, rather than being in competition with each other, physical and digital retail channels have become interdependent. Whereas once we observed that brick-and-mortar retailers ignored online at their peril, we now see e-commerce businesses benefitting from physical contact with their customers. Setting the right omni-channel retail strategy depends a lot on the nature of your product and your market: a customer’s needs and wishes in one area may be completely different in another. What’s clear, however, is that the pop-up is once again a valuable tool at the retailer’s disposal. And that’s a good thing for consumers. Zeynep Durukan is Head of Marketing at I-AM Istanbul. Henry van Belle is Group Marketing Director at I-AM.